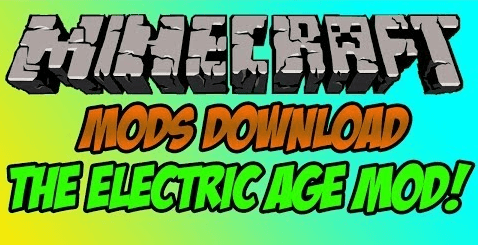 Electrical age is a Minecraft Mod offering the ability to perform the industrialisation of your minecraft world.The content is more than 150 items/blocks.This mod is not just another electrical mod because of his unique simulation model. This is not juste ?Another tech mod? because electricity is not exchanged with ?packet? like in EU, I2C, BuildCraft, not exchanged with node balancing like in RedPower, but with a real simulation model that allows to do unseen possibilities ! Actualy on minecraft 1.7.2. / 1.7.10 with the same jar. Electrical simulation with resistive and capacitive effects. Behaviour similar to those of real life objects. Furnaces, Solar panels, Wind turbines, Batteries, Capacitors, ? witch allows a significant reduction of the consumed space by electrical installations. From the lamps, electrical furnaces,? to the miners, transporters, ? XRay scanner, flashlight, portable mining drill, ? Old redstones circuits can be exploited with electrical ? redstones converters. A consequent list of new raw materials and items? To open the integrated wiki it’s X key. To turn some small wall blocks it’s Wrench item + right click.